If you jump in the car at Rocha Brava and follow the N124-1 inland for just 20 minutes, you’ll find yourself stepping back in time. The town of Silves is an often-overlooked gem nestled amidst the breathtaking hills of the Algarve, just a few miles from the coast. Once the ancient capital of the Algarve, today the town still has a sense of grandeur, although mellowed and softened by time. 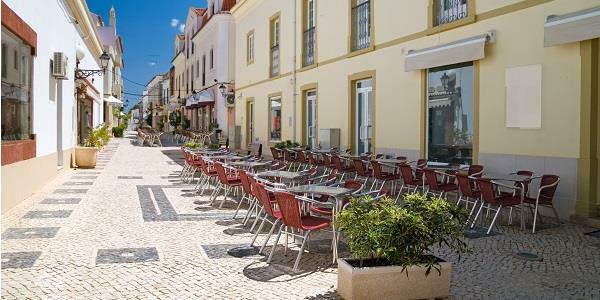 Virtually unchanged for centuries, Silves provides a taste of authentic Portugal; a pleasant departure from the busier coastal resorts popular with tourists. 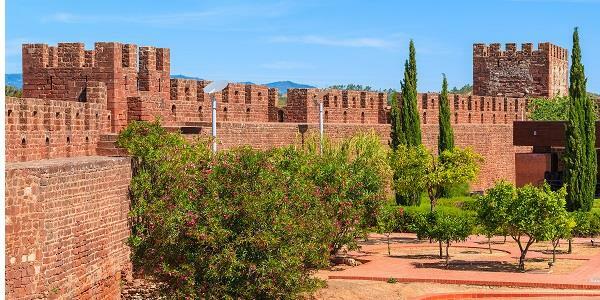 For those wishing to get out and about, with an appreciation for history and beautiful scenery, Silves is a must-see. Founded by the Romans, Silves flourished under the North African Moors, for whom is was a major defensive stronghold and trading town. 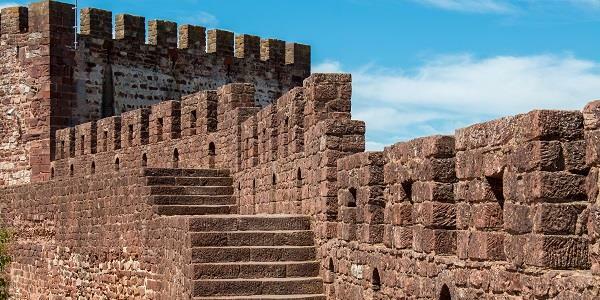 At its peak, Silves castle commanded the entire region of Southern Spain. During the 11th and 12th Centuries, Silves was frequently attacked by Christian Crusaders trying to drive the Moors from the Algarve. In order to defend the town, huge fortifications and walls were constructed. On top of this, additional defensive features were added to the famous castle, many of which can still be seen today. The castle was, in fact, attacked many times. First by King Leon in 1160, followed by Christian Crusaders in 1189, before being recaptured by Amir al-Mu’minim in 1191. In 1243, Silves was finally taken by the Crusaders. The trade routes with Africa were severed and the course of the river changed to prevent it being a workable port, all leading to the demise of the town. With such a long and varied history behind it. 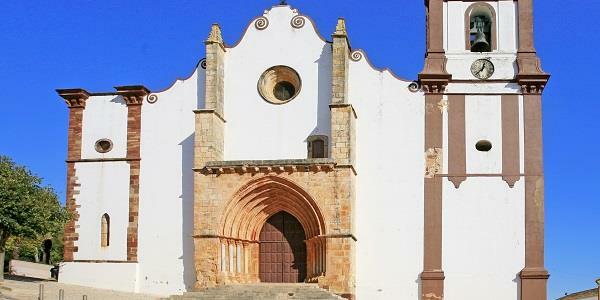 It’s no wonder that many of Silves’ main attractions are historical. The most obvious and dramatic of which is the impressive Silves castle, whose red brick dominates the skyline. While the castle itself dates back to the 7th Century, the fortifications which we see today were built in the 12th Century. As mentioned, this was when the castle needed the most defending against the Crusaders and African Moors! The defensive features include rain fed cisterns, which worked so well that they were still in use as late as the 1920s. Another sight worth seeing is the bronze statue of King Sancho I, which sits at the entrance and marks the first significant victory for the Portuguese during their 1189 capture of the castle. This was when Sancho (and a big army) initially stormed the castle walls at the start of what would be a 3-month siege. The castle also contains several archaeological excavations and the battlements provide some wonderful views over the town (but watch children on the unsecured ramparts). Thanks to a huge restoration project during the 1940s, the castle is in surprisingly good condition for such an ancient building and gives a real glimpse into the town’s varied past. The castle is open every day from 9:00 until 18:00 and the admission fee is €2.50. To truly appreciate the castle’s beauty, however, you need to take a trip to the other side of Silves. From the top of the hill, you’ll be able to enjoy a fantastic view across the town. Take in the rolling hills and lush countryside, as well as the Arada River flanked by the traditional white buildings. The distinct red brick of the castle looms above the town, finishing off this spectacular landscape. Another sight not to be missed is Silves Cathedral. Once called the most important Gothic building in the Algarve, the cathedral has been standing since 1189, when Christian Crusaders built it over a ruined Moorish mosque. Strongly influenced by the Monastery of Batalha in the Centro Region of Portugal, it has a heavily Gothic style and has been named as the Algarve’s most dramatic church. Silves Cathedral is a Latin cross church with a three-island nave and three chapels in the East end. The exterior is a beautiful contrast of Silves sandstone and plaster, while the interior is richly decorated with impressive columns, stained glass windows and ornate ceilings. The Christ sculpture, the Senhor dos Passos, is one of the main processional figures during the town's Easter celebrations. However, the most historically significant detail to be found inside the church is the tomb stone dedicated to King John II, who died in strange circumstances in 1495 close to Silves. The entrance fee to the cathedral is €1.00 by donation. If you haven’t quite seen enough, Museu Municipal de Arqueologia is an archaeological museum containing a wide selection of finds from the town and local area. Some interesting artefacts include a solid-gold Roman coin from the 370 AD and some well-preserved 17th-century pottery. When you've had your fill, head out onto the viewing platform to gaze down into some typical Algarve backyards. An adult ticket is €2.10. If you happen to visit Silves in August, don’t miss the fantastic Medieval Fair, which takes place over 10 days at various venues throughout the town. Silves’ important historical events and figures are all represented, from governor Al-Mu'tamid, who reigned from 1069 to 1091, to the town being awarded its charter. During the festival, the town comes alive with re-enactments, period costumes, horse tournaments, dances and traditional feasts, all harking back to the town’s Medieval roots. Break up your visit by popping into one of the local cafes, where locals spend their days nursing strong coffee and socialising. Silves is full of hidden gems when it comes to food and drink, but if you’re looking for a recommendation, Pastelaria Rosa has a fantastic reputation. With a traditional blue-and-white tiled interior and pavement terrace, it’s a fabulous place to stop for a bite and watch the world go by. Homecooked treats include folhados de maçã (apple and almond pastries) and folhados de maçã (apple and almond pastries), although they also serve light meals to enjoy in the sunshine. In addition, there are plenty of wonderful cafes and bars and around Largo do Município, including Café Da Rosa and Restaurante Marisqueira Casa Velha. There's also a line of pavement cafes on Rua C. Figueiredo, so you can make the most of the fabulous Portuguese weather. 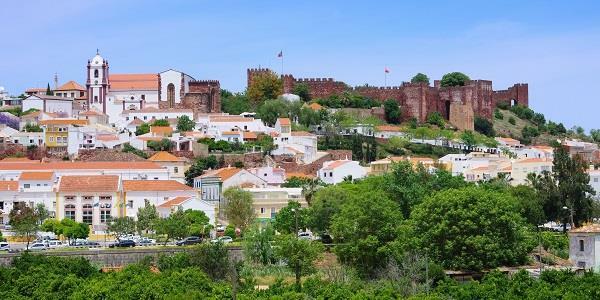 Silves is a wonderful place for a day-trip and a fantastic reflection of the rich and varied history within the Algarve. If you like to spend your holiday exploring the local area and culture in a relaxed environment, you’re sure to enjoy a few hours walking its winding streets and nipping in and out of the local attractions. Only a short drive away, our Rocha Brava property is a great base from which to discover Silves and the rest of the Algarve. With a combination of villas and apartments, beautiful gardens, swimming pools and restaurant, it has everything you’ll need to set you up for a day of exploring! To find out more about how you can stay at Rocha Brava, as well as our 31 other properties, just get in touch.